Midfielder Brett McGavin has put pen to paper on his first pro deal with the Blues. 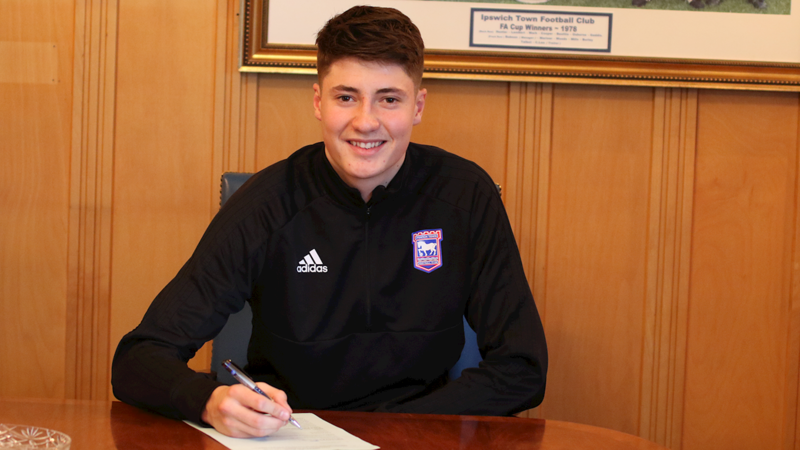 The Bury St Edmunds-based 19-year-old has signed a contract which runs to the summer of 2020 with Town having an option for a further season. “I’m absolutely delighted to have signed a pro contract,” McGavin told the club site. “This season has been good for me and obviously things are going well for the U23s [who are top of their league] so I’m happy with the progress I’m making. The one-time Bury Town loanee is the son of Steve McGavin, who was a youth player for the Blues before going on to play at clubs including Colchester and Birmingham and who was the academy’s head of recruitment before moving on to a similar role at Norwich City in 2017. Seen him a couple of times this season, very tidy holding midfielder. Comfortable on the ball, keeps everything simple. Congratulations to lad, hopefully another one off the production line for the future. Good move by the club. Premiership first touch and control, if you were playing football manager he'd have 20 on each. Very reliable player who isn't afraid of the ball. Let’s hope he gets to play for us in the Premiership. Looks a very accomplish player for his age when I have watched him in the U23 team, reminds me of Owen Garvan. Good central midfielder , breaks up opposition play and plays it out very well. Hope he makes it through to first team and same goes for all those in our excellent U23 team.